When it comes to security, there are a few critical differences between IPv4 and IPv6 that organizations need to be aware of, including host addressing and extension headers. 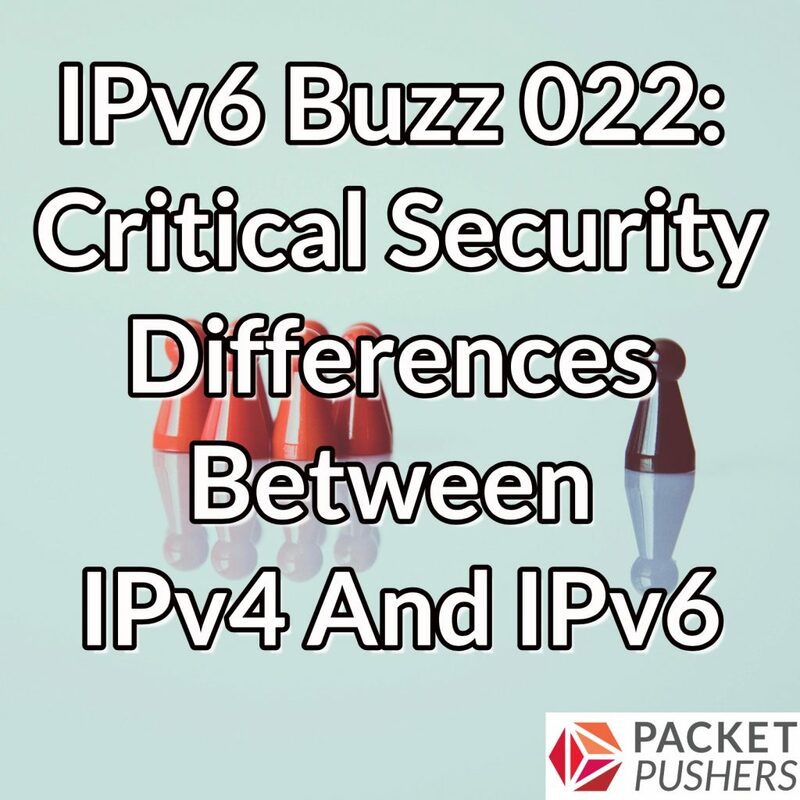 We examine these differences, as well as other v6 security issues, with our guest Eric Vyncke, a Distinguished Engineer at Cisco and co-author of IPv6 Security (Cisco Press). Eric is the Co-Chair of the Belgium IPv6 Council as well as the Co-Chair of Operational Security Capabilities for IP Network Infrastructure (OPSEC) Working Group at the IETF (where he has authored many RFCs). Tom Coffeen is co-founder at Hexabuild and a co-host of the IPv6 Buzz podcast. Tom is a network engineer, architect, and tech author with over twenty years of production internetwork design, deployment, administration, and management experience. Thanks for the great content on IPv6 Security.